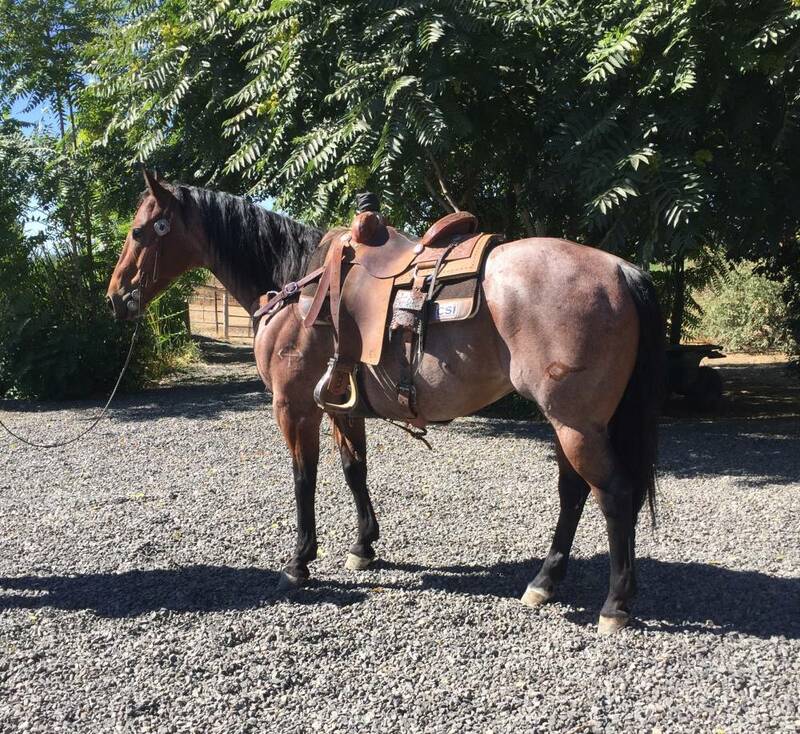 Marshal is a very eye catching, 10 yr old, 15 hands, 1200 lb, bay roan gelding. Marshall has been one of Every Which Way Performance Horses personal horses for 6 yrs. In that time he has been hauled to rodeos heeling, breakaway, team roping, to jackpots heading. He is patterned on barrels, he has roped wild horses and even done a little mounted shooting! In 2017 we used him at the WSRRA world ranch rodeo finals. 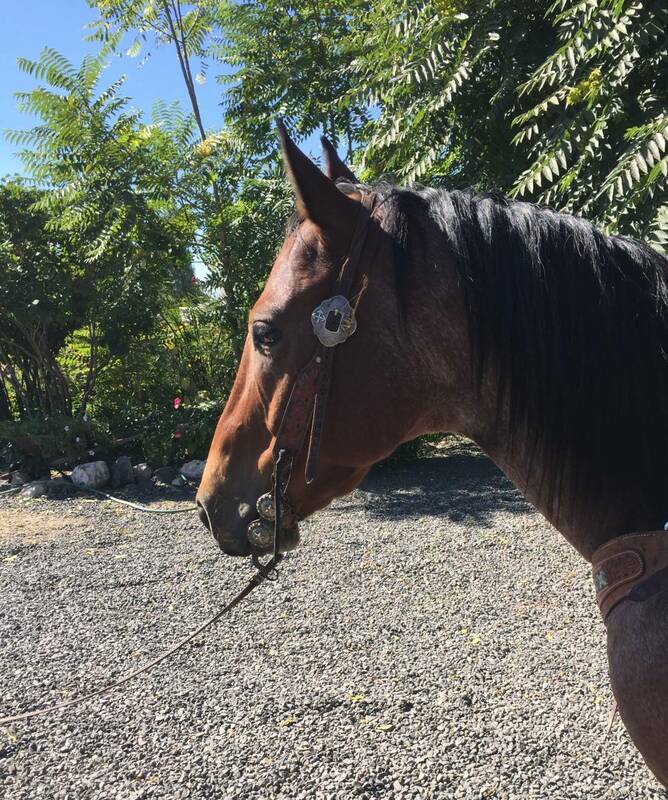 Along with several other ranch rodeos, Marshal has done it all on the ranch including draggin cows & bulls in the trailer, going through rough country in the mountains, crossing all kinds of water and obstacles and he is a cadillac in the branding pen. 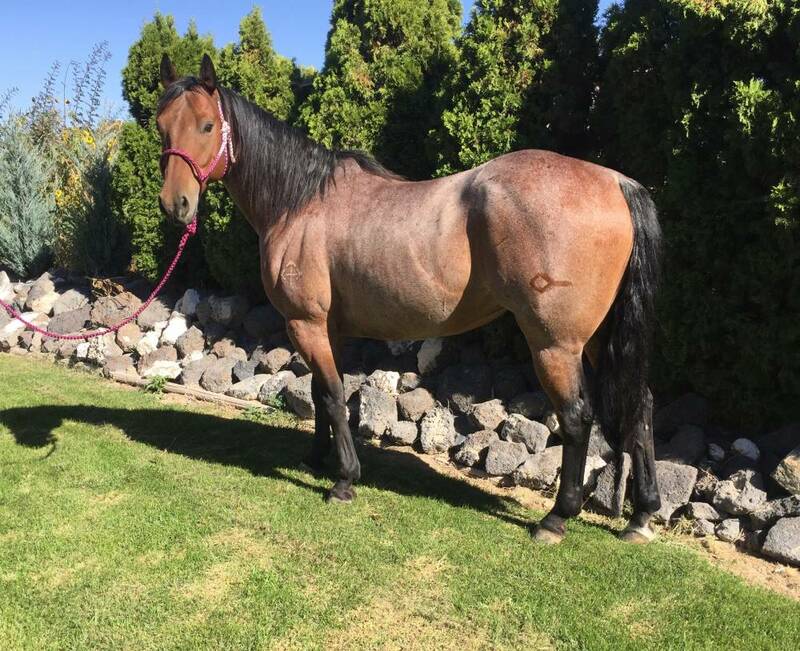 Athletic and fast footed, he's got all the right tools to be a top performance horse.